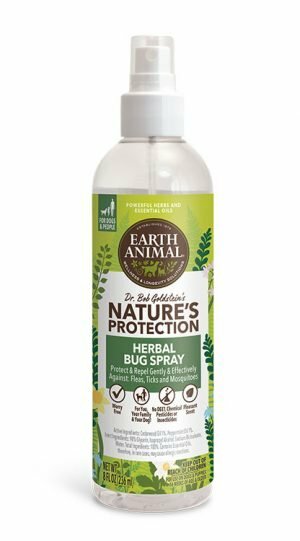 The bug spray is not intended for cats, but it is safe for cats. Cats do not like to be sprayed nor shampooed; they do not like the “pshit” noise that the spray makes, and they do not like their fur to be covered by the spray. The recommendation we make saying “not intended for cats” is not linked to the formulation. If a cat accepts to be sprayed, then there is no problem using the spray.